A violent case of road rage in Victorville, where three women are seen beating a man, was all caught on camera. 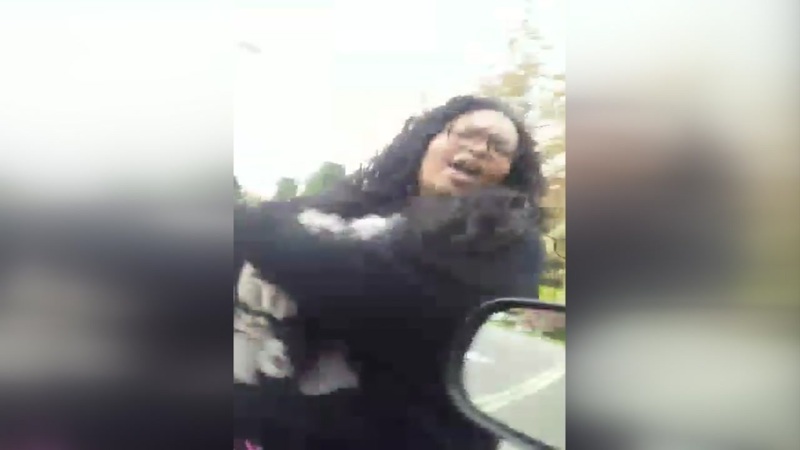 VICTORVILLE, CA -- A violent case of road rage in Victorville, California where three women are seen beating a man, was all caught on camera. 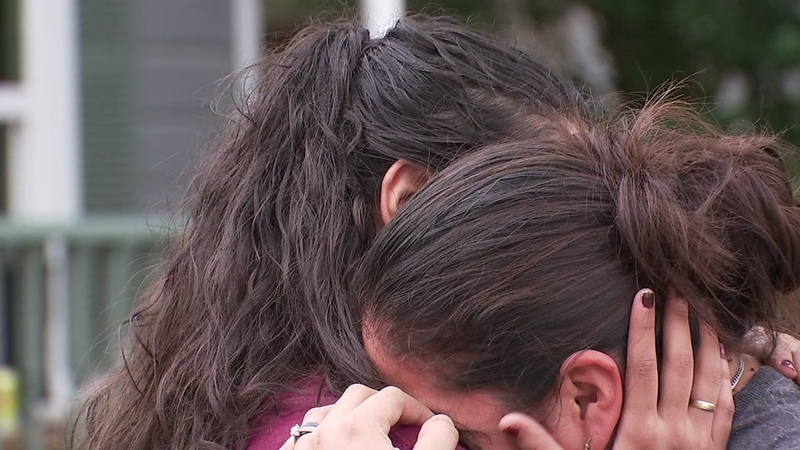 Video shows the confrontation that caught Aimee Fields' attention. Two women had dragged a male motorist out of his truck and were beating him in the middle of traffic. "I looked over and saw them pull him out of his car and just start beating him. It was pretty intense," Fields said. In the video, one of the women punches the man in the head then violently throws him to the ground. "It was pretty clear. It sounded like they were obviously really aggravated," added Fields. "You could tell that he had done something to make them mad. 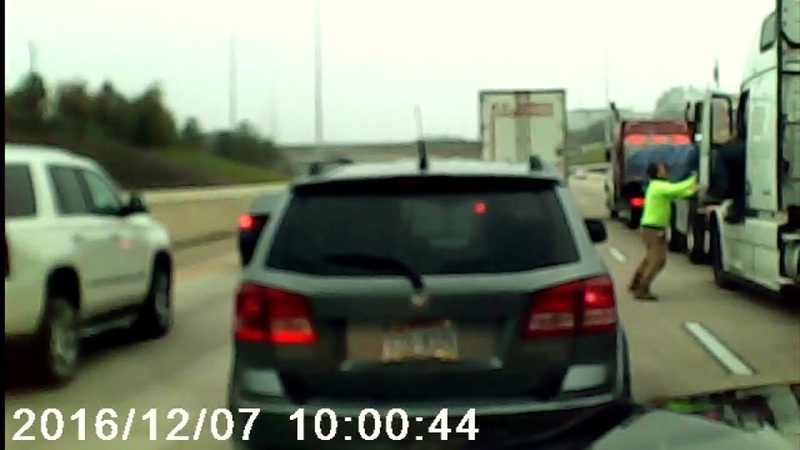 It seemed to me like he was brake checking them." Maribel Cavazos and her fiancé, Israel Gonzalez, were out celebrating their upcoming wedding Saturday night before getting in the crash. Brake checking refers to abruptly hitting the brakes to discourage others from following closely behind. The road rage incident happened Tuesday afternoon at the intersection of Highway 395 and Mojave Drive. Fields said she's seen tempers flare along the busy roadway but not like this. "I heard her yelling at him, you know, 'I bet you won't do that to me again.' He said, 'Well, I'll bet you'll learn' -- kind of going at each other," Fields shared. The entire beating captured on Fields' cellphone lasted 27 seconds. She said despite social media reports about the confrontation being about a political sticker, that wasn't the case here. "I didn't hear one thing that had to do with politics or anything of that sort," she said. The San Bernardino Sheriff's Department said no one has filed a police report over the incident. Another instance of road rage turned violent was captured on video and this time the anger stopped traffic on I-10.